Are you one of those people who gets extremely disheartened when someone says something about the makeup you're wearing today, or what brand of clothes you buy? Or do you take offence to the way someone laughs at what you say? 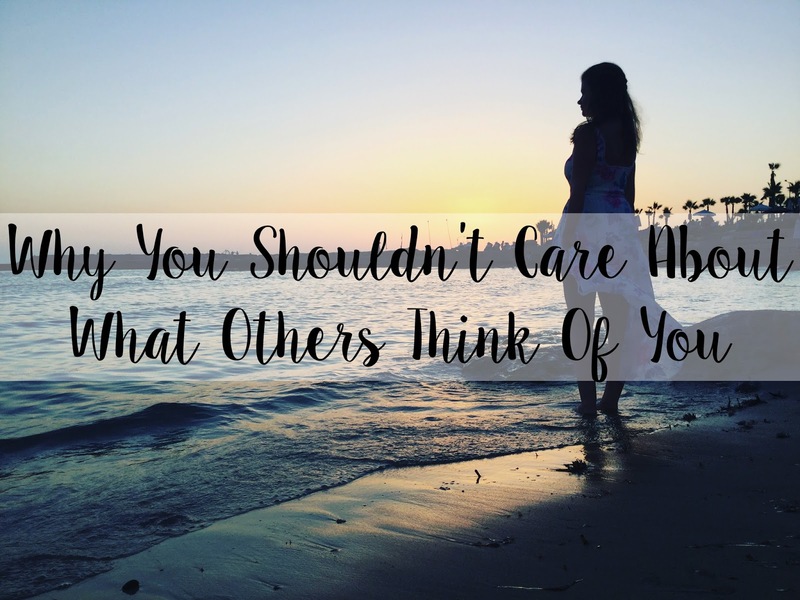 Well, today I am going to be giving you four reasons why you should not care about what others think of you. I know I know this is easier said than done but I was once in your position. I was the girl that got really upset when the girls behind me in class laughed about my eyebrows and shouted abuse at me, I hid away in corridors away from the people that called me "pig nose" or the girls that called me "fat" and "ugly". Throughout college, I began to feel like I was so different to everyone else, just like when I was in school because I was "different". The girls called me a "boff" and a "know it all" and every single word hurt me. I have come to realise as I have grown up that other people's opinions do not matter and people tend to say horrible things to make themselves feel better and usually it's because there's something bad happening in their life. They believe saying harsh things to other people will take their mind off what's going on in their life. Unfortunately, this is what happens in society and there are people out there who do actually do this and it is sad to see. However, the less you care about what other people think, the happier you will be. 1. Life is about focusing on yourself and the people that matter the most to you; not what other people think. Someone might not like you because you don't wear a lot of makeup, or because you don't dye your hair. Usually, it's because you don't do something that they do. However, this is okay! If we spent every moment of our life worrying about what other people thought of us, we'd never do anything in the fear of being judged. 2. You might as well do exactly what you please, what makes you happy and just be yourself apologetically because regardless, you are going to get judged no matter what. I have learnt that no matter what you say or do, even if you try to be someone you're not, that one person that is forever judging you, will carry on to judge you even if you've done everything they want you to. There is absolutely no way you can please everyone so you should do whatever you want to do with no care in the world, and smile whilst you're doing it. 3. 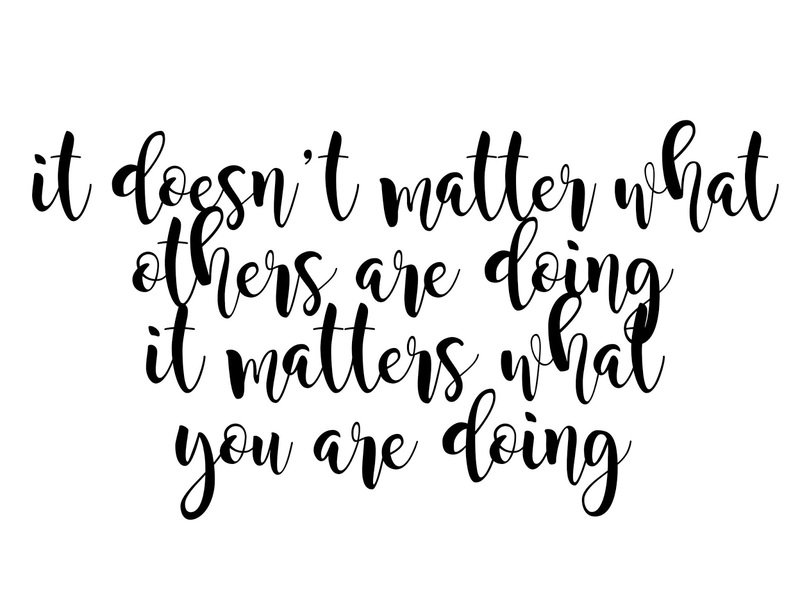 Ignore what everyone is doing and achieving. Your life is about breaking your own limits and outgrowing yourself to live to your full potential and to live your best life! 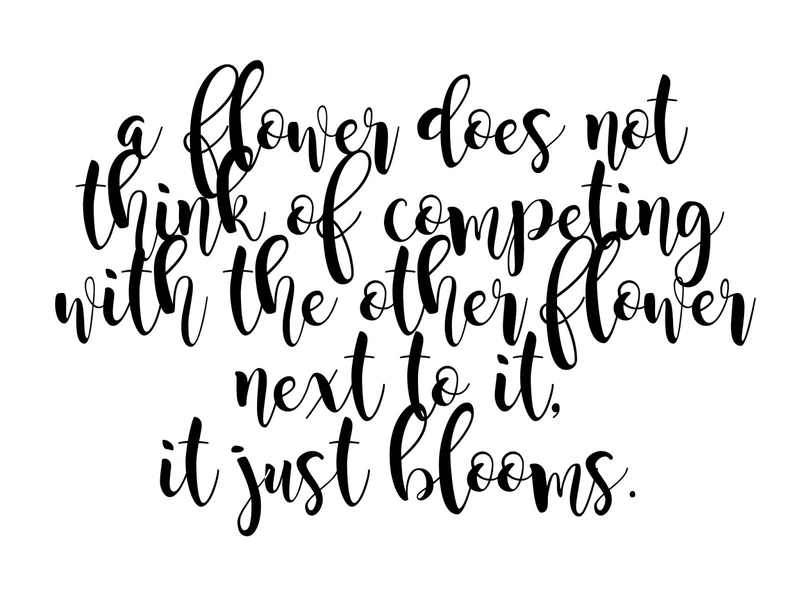 You are not in competition with anyone else so plan to outdo your past, not outdo anyone else! 4. If you're happy with the life you are living, why does it matter what people think about you? Live your life to the fullest and forget everything else. One quote which sums this up in one piece is "How to be happy; ignore people who think they know more about you than you do" and it couldn't be more right. If you care about what others think of you then stop now! You are never going to be 100% happy with your life until you stop caring about everyone else and what they are thinking or doing. I hope these points have helped someone out there, let me know in the comments if you have any to add!